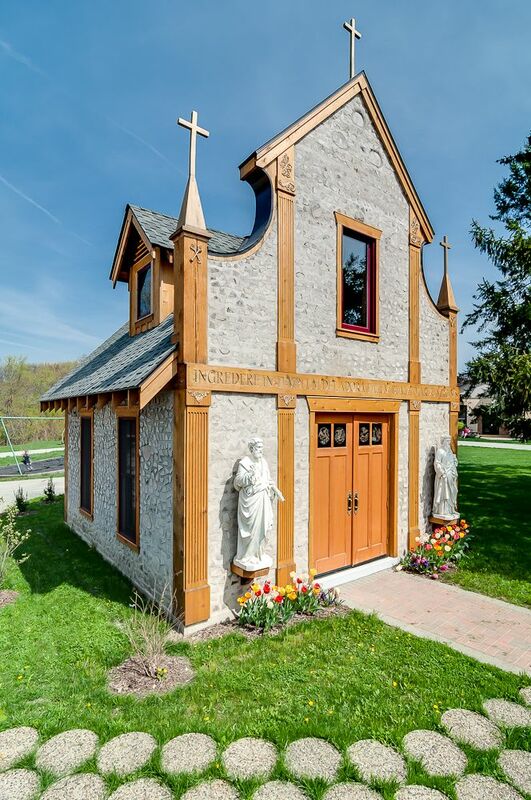 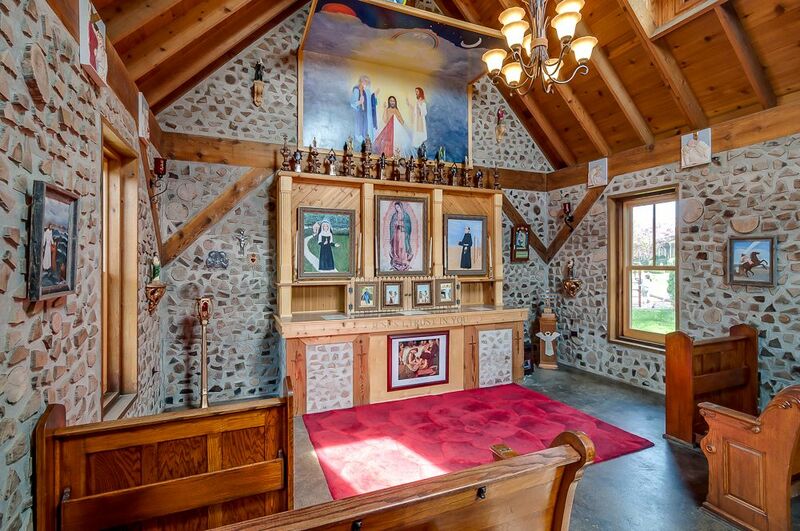 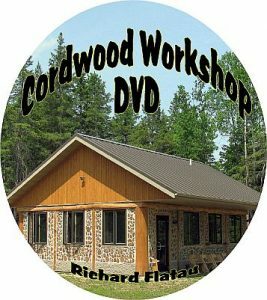 In the north west corner of Indiana sits a gorgeous, congregation-built cordwood church. 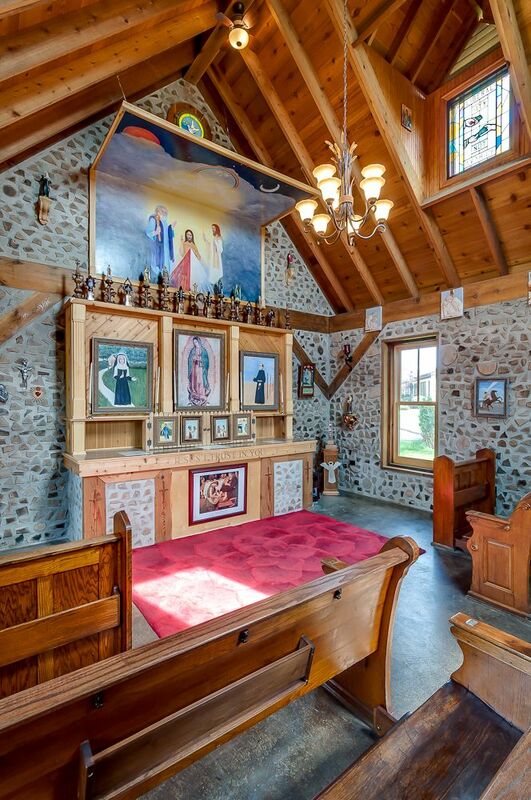 Our Lady of Guadalupe nestles into its surroundings in the town of Chesterton, Indiana. 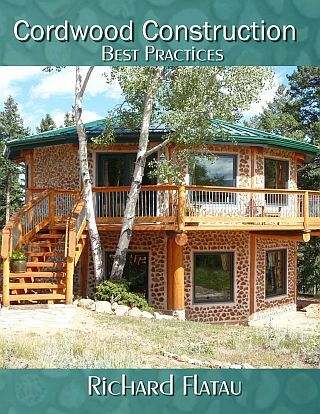 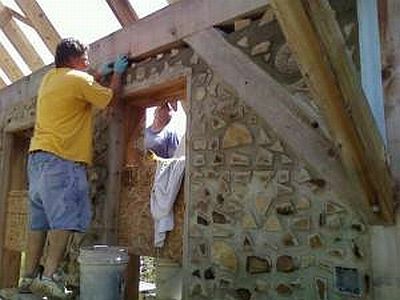 For information on cordwood construction in general or to learn how to build your own cabin, cottage, garage, studio or retreat, go to www.cordwoodconstrution.org The latest book available, with all the current code information, including wood, insulation and mortar choices is Cordwood Construction Best Practices.